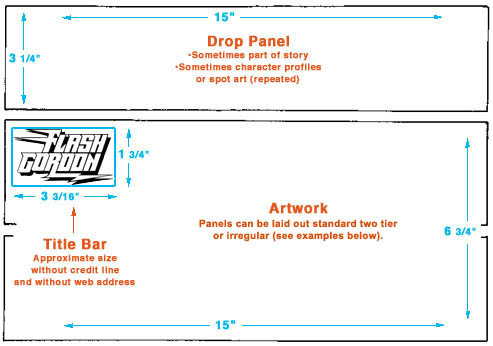 This first strip is an example of a drop panel with a standard two tier layout underneath. The drop panel is artwork the newspaper can opt not to print and it won’t affect the main body of the strip. This second example is a drop panel followed by an irregular panel layout. Flash was offered in two formats; half page (with drop panel) and third page (without drop panel) so I could play with that bottom area however I felt as long as the proportions stayed the same. I’ve played with different kinds of bristol and go back and forth between plate (smooth) and vellum (textured) – it usually depends on the job. I used 1-ply for awhile just because I didn’t have the best light box, but prefer 2-ply as it’s more durable. 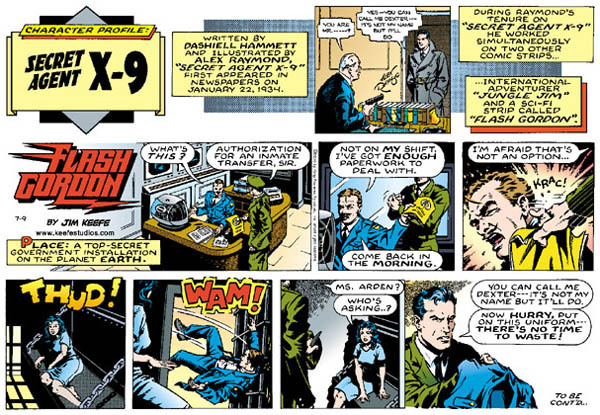 I tended to work pretty small because the size it got printed was postage stamp size – far removed from the kind of real estate Alex Raymond had to work with in the Golden Age of the 1930s. The size you work in is really dependent on the artist – as long as it stays proportional to the required specs. 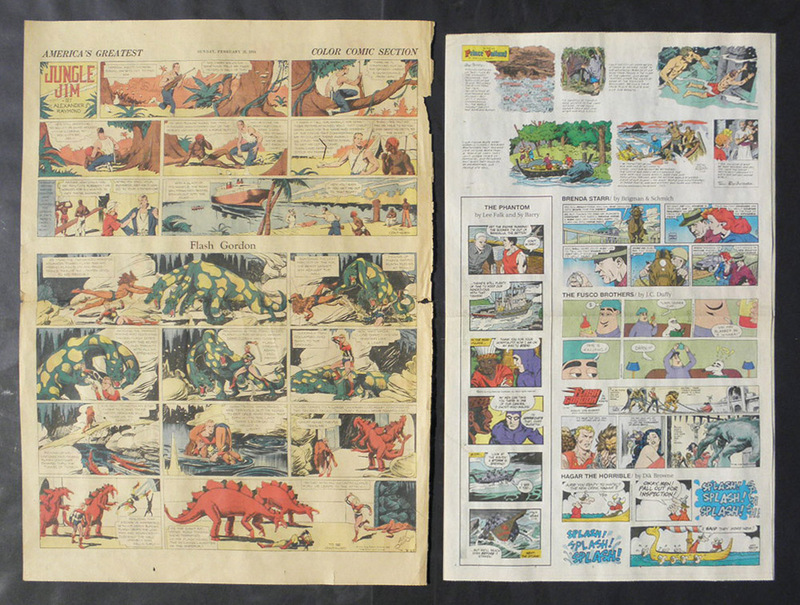 Patrick McDonnell on Mutts tends to work small compared to Ray Billingsley whose Curtis originals were larger than any other strip I saw during my tenure on staff at King. 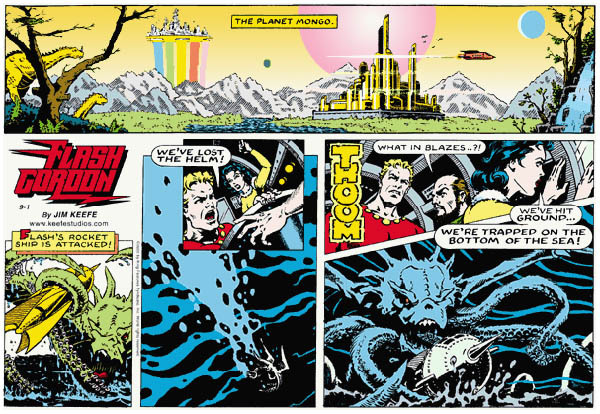 This entry was posted in Artists - Cartoonists, Flash Gordon and tagged Flash Gordon. Bookmark the permalink.